Well...It's official. 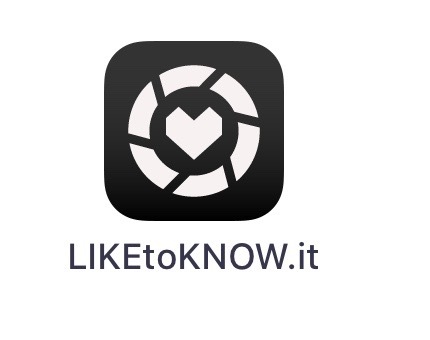 I am officially a member of the LikeToKnow.It family! For those of you don't know what this means, it is kinda a big deal! Now, instead of heading to my blog to shop, (which you can still do of course) you can shop my pictures by taking a screenshot of my photo on Instagram, and then heading over to the LikeToKnow.It app to see all the details of everything in my pictures. 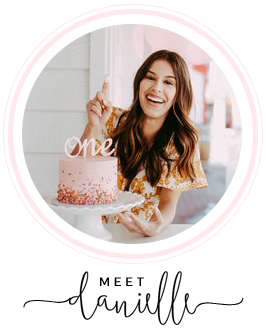 Since this is all kind of confusing for people who don't know what it is, I thought I would give you guys a blog post dedicated to this specifically and showing you how you can shop everything and what it is. Lets get started! First things first, if you haven't already you need to download the LikeToKnow.It app, which is pictured above. Head over to the app store to purchase it (its free!) and then make an account. After you've done this, go to the search tool and type in my Instagram name which is @daniellealanareyes. Then, follow me! If you aren't good at technology like I am, then I would just stick with this step. This app will hold all of my Instagram posts, and instead of seeing a caption you'll see everything in the post that you can buy, so you have the EXACT details of what I'm wearing and you don't need to go hunting for it. If you want to go a step farther, every Instagram post that is through LikeToKnow.It will have a link on it in my captions. If you don't want to make an account and download the app, then you can copy and paste the link I have in my captions to shop everything directly as well. This one is tricky for me though, because you can't copy and paste other people's captions once they are posted. So, you either have to screenshot or it memorize it when typing it into your web browser. Or, if you go on Instagram on your laptop, then you can copy and paste the link that way. I do it that way if I want to go though the link and not the app. This is pretty much the gist of it overall. To recap and put it in a summary: it really is just easiest if you download the app and you follow me, then you can do it all on your phone. Keep in mind, if my picture that I have posted is not through LTK it and you don't see a link, that means everything (should) will be linked on my blog. If not, feel free to comment on my blog or DM me ( I answer all DM's...unless you're a creeper) with ANY questions you have. Thanks so much for making this possible, I wouldn't be here with out my readers!